Today’s Dinosaur Of The Day is Styracosaurus. Styracosaurus was a member of the Ceratopson family. He had six big horns coming outward from his frill, and one long horn on his nose. Styracosaurus was a relative of Triceratops. Styracosaurus is a really awesome dinosaur. 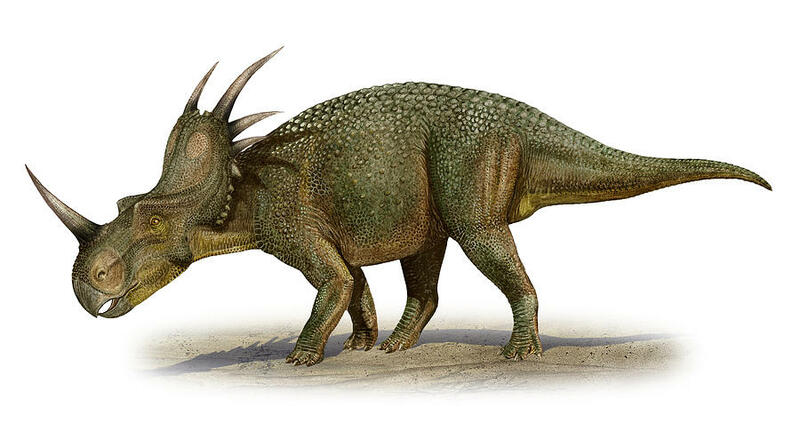 Styracosaurus might have had head-butting contests. Styracosaurus means ‘‘Spiked Lizard.’’ He lived in the Late Cretaceous period. He was discovered in North America, and was about 17 feet long! Bridger, thanks for posting on your blog again! I would like to see a Styracosaurus head-butting contest! Where in North America was he discovered? Check out my Dad’s blog! Coming soon: My new little sister!